The shower is the centrepiece of the modern bathroom, with most people choosing the quicker and easier option over a bath. It makes sense, then, to take extra care when choosing the perfect shower for your bathroom. With dozens of different styles and kinds available on the market, you should know exactly what you're looking for, what will best fit your bathroom, and what you'll be getting when you decide to make a purchase. Whether you'll require a mixer shower or a full thermostatic system will be one of the main considerations you'll need to make, as well as taking into account your own plumbing system and likely pressure available. Fortunately, there are a wide variety of shower systems, heads and valves to accommodate almost anything into any space - having a smaller bathroom or lacking a dedicated shower unit needn't prevent you from having one of the most luxurious shower experiences you can afford. 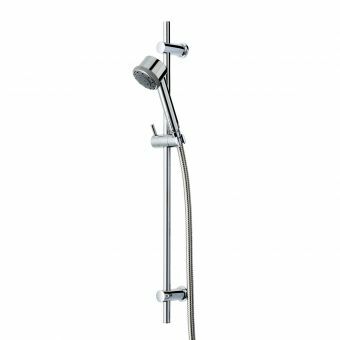 Roper Rhodes are one of the market leaders in the latest in shower technology, and have some excellent systems and designs to fit any kind of bathroom. When you make your choice, there are a lot of things you'll need a consider - the pressure, the system, how much space you have available, whether your shower is walk-in or not, and of course whether it will match the rest of your decor. 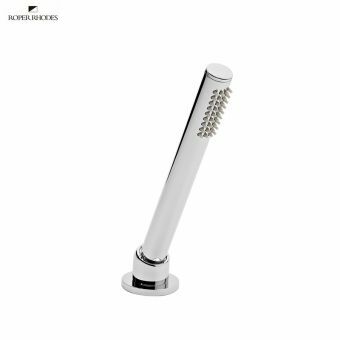 There are also a huge range of additional accessories to choose from, which can help make your shower experience as relaxing and rewarding as you like. Fortunately, this buyers guide will help tell you everything you need to consider and know before you decide which shower fitting is best for you. 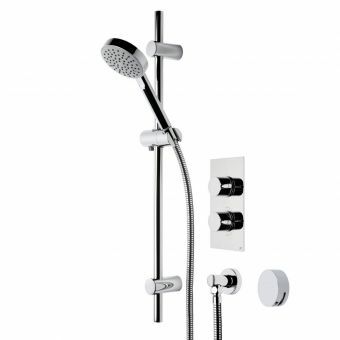 The shower itself will obviously be your primary concern, and Roper Rhodes have a wide range of different systems available to suit your needs. 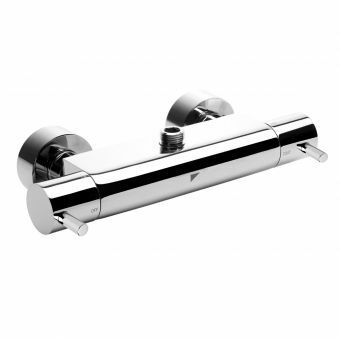 At the simpler end of the market, the basic Roper Rhodes Shower Systems offer excellent value for money and a timeless chrome look to complement your bathroom. 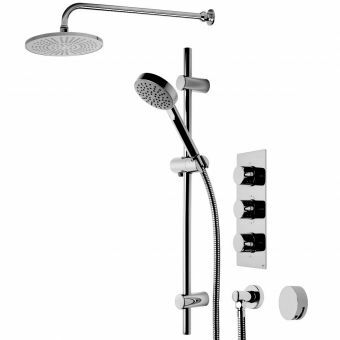 These mixer shower systems have a variety of different ways to adjust the arm for height and angle to accommodate all kinds of users, and run from your existing plumbing system, making them simple to install and use. 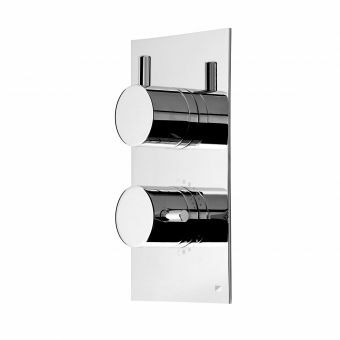 For a more luxurious shower experience, Roper Rhodes' dual function shower systems can really lend an element of class. 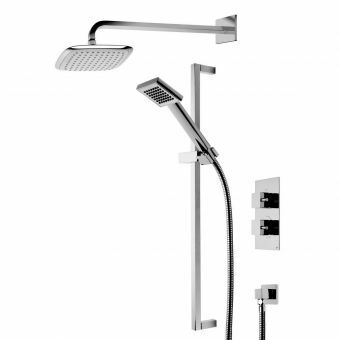 These systems have a larger overhead shower head to give a truly invigorating shower. 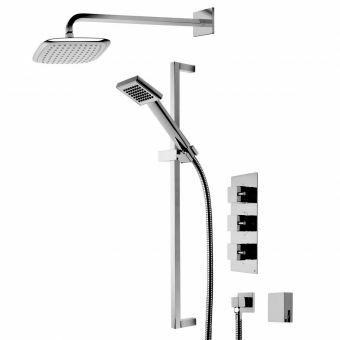 The Roper Rhodes Factor Dual Function Shower Kit is the perfect example of this kind of design, offering a separate, concealed main shower head with a steady, rain-like action giving complete coverage. 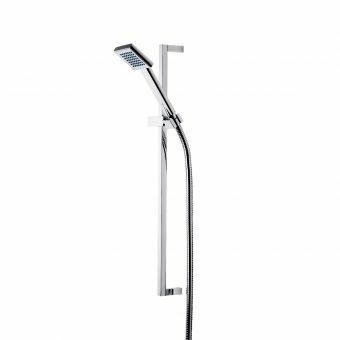 The design also fits seamlessly into the most minimalist and modern of bathroom designs, while a handheld shower head is also included, so users can take advantage of both to give one of the best shower experiences available. If you want to go one better, the Roper Rhodes Event Round Triple Function Shower System boasts all of the above, but with an additional bath filler setting. 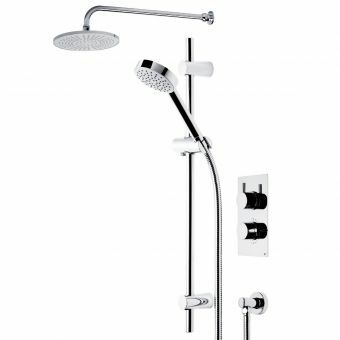 The shower systems can all be easily adjusted with exposed controls to make changing settings, flow and temperature easy, smooth and steady. 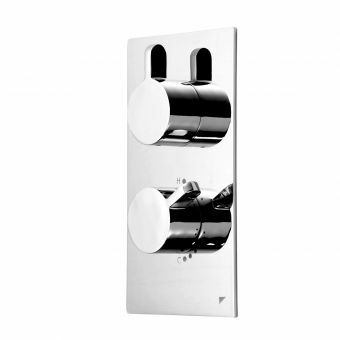 These shower systems are all mixer showers, designed to operate from your existing hot and cold water supply. Be sure to check the pressure of the shower and your system to make sure you get one that fits yours correctly. 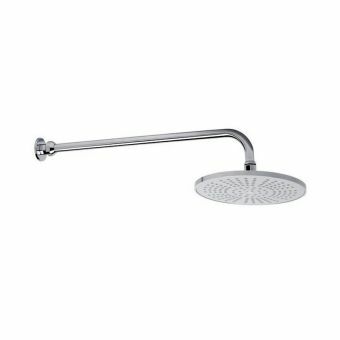 These designs come in a wide range of specific types, featuring round and square shower heads with various features and functionality. 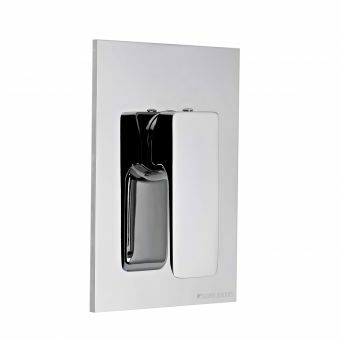 All of these shower fittings are additionally designed with a clean, modern and neutral look to complement a wide variety of bathroom designs. 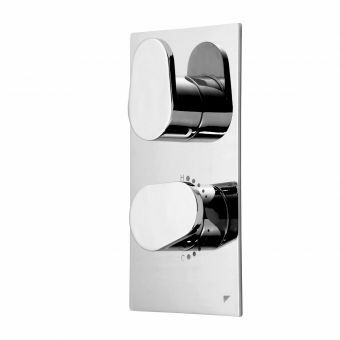 For example, the Roper Rhodes Event Square Dual Function Shower System matches its angular look with square controls on the accompanying valve. 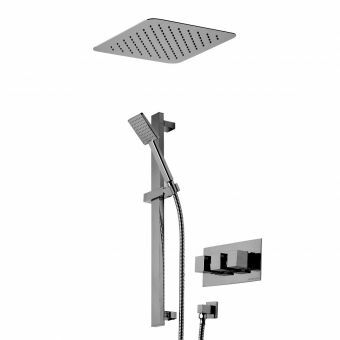 The Roper Rhodes Breeze exposed dual function shower system with diverter, meanwhile, comes with a striking vertical bar to provide a genuinely eye-catching aesthetic to your shower as well as giving you the pinnacle of functionality. This design, like many of the others, also comes with a choice of round or square controls so that you can really customise your shower to get it to match the look of your bathroom perfectly, depending on the style of the rest of your bathroom furniture. 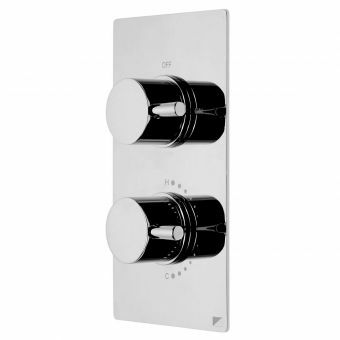 If you want even greater control over the temperature of your water, you can opt for a thermostatic system. 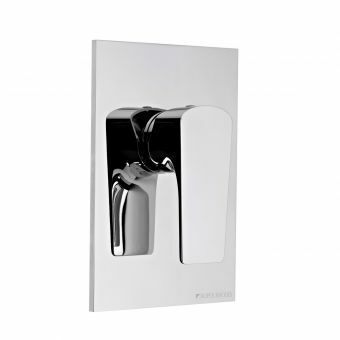 This will keep the temperature in your shower constant via an internal thermostat - so you won't face any sudden changes in temperature should a tap be turned on elsewhere in the house, making it ideal for busy households. 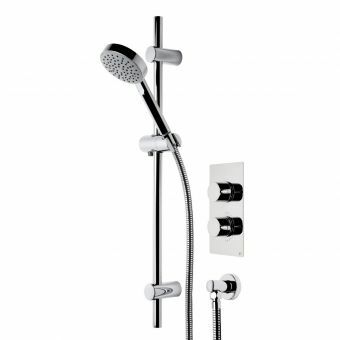 Items such as the Roper Rhodes Storm Exposed Thermostatic Shower Valve are designed to fit all plumbing systems and can be combined with the other shower fittings on offer to give you the perfect and most luxurious system available. These systems have separated flow and temperature controls, an automatic shutdown feature in the event of a pressure failure, and are highly durable and resistant - to the extent that they come with a 10-year guarantee as standard, giving you a great deal of peace of mind once your installation has been completed. 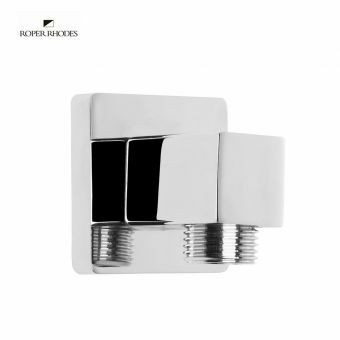 For these systems, items like the Roper Rhodes Event Concealed Multifunction Shower Valve also give a highly stylish and modern design combined with the latest in functionality, helping you to easily separate different functions of your shower. These systems can be ideal for houses with older plumbing systems, as they put less stress on the overall system and maintain a constant temperature far more easily. Many of the systems have low pressure requirements, but if your available pressure is particularly low, you should be sure to check to make sure the shower system will function properly in your home. Shower heads can have a huge effect on the different functions of your shower and the kind of spread of water you can get. 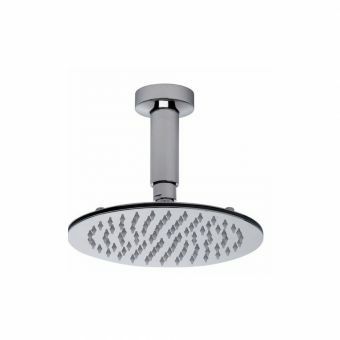 The wrong shower head can easily see your shower produce a poor coverage of water, and result in users having to move around simply to keep warm - far from an ideal situation. 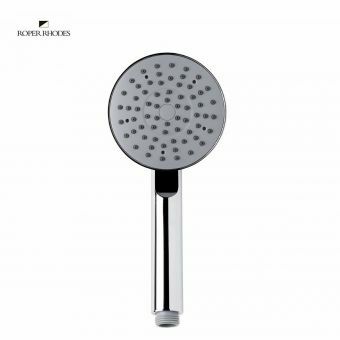 Fortunately, Roper Rhodes offer a wide variety of shower heads to keep a high and even spread of water, giving you a great shower experience. 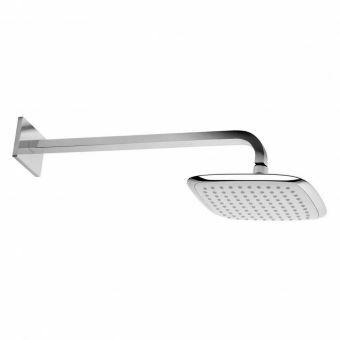 The Roper Rhodes Short Ceiling arm with Round shower head provides one of the most comforting flows around, spreading the water evenly from the ceiling to get one of the best shower experiences around. You'll need to factor in whether your plumbing and layout will allow a ceiling-mounted shower head, of course. 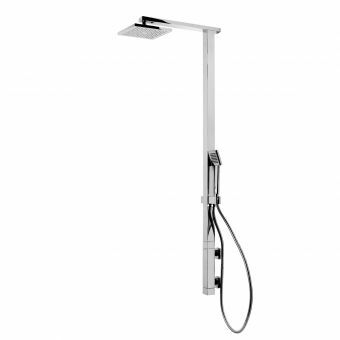 If not, you'll find that the alternatives, such as the Roper Rhodes Round Shower Arm with Square 200mm Shower Head, can provide a highly comfortable shower without the need to go through the ceiling. 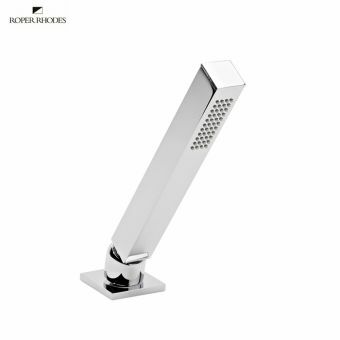 Additional accessories for your shower from Roper Rhodes include the Roper Rhodes Shower Seat, a vital piece of equipment if you have anybody in your household who suffers from mobility problems or finds it difficult to stand in the shower. 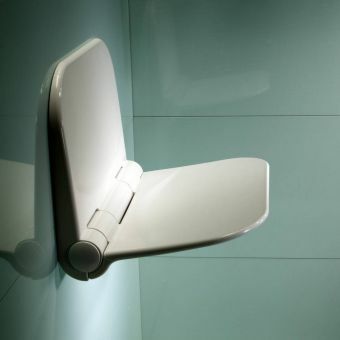 The durable, wall-mounted seat folds away when not in use to take up as little space as possible, and provides a highly comfortable shower experience for those who may otherwise find it difficult or stressful. The square and round wall elbows will also help to construct the perfect shower system by offering stability and security for your system in the perfect places. Easy to install and simple to adjust, they are the perfect way of getting the right shower system for your space and layout. 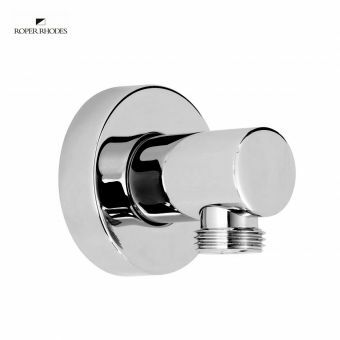 Roper Rhodes' shower systems conform to one of the simplest, yet most classic and timeless designs around, with high quality chrome a sign of quality and class. They can fit inw ith a wide variety of different bathrooms, so regardless of what style of decor you're opting for in your space, you'll find that all of these designs should complement it perfectly. The choice of square or round heads and controls can also help whether you wish to add a smooth or a more angular and straight-edged design to your room, depending on the rest of your decor. 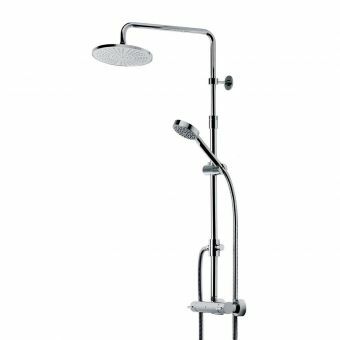 Many of the shower systems and fittings are designed to work with all kinds of plumbing systems, and can simply be used in baths and dedicated shower units alike. You should still take into consideration which one you have for concerns over space and decor, of course, but with a wide variety of systems available from Roper Rhodes, the possibilities are endless. Even if you have a smaller bathroom or lack a cubicle, you can still enjoy some of the finest shower systems around on the market and transform your morning routine from a chore into a truly relaxing and rewarding experience. Simply decide which kind of shower you like, consider your accessories, and whether or not you want a ceiling or wall-mounted head - whichever options you go for, you'll find Roper Rhodes have you covered with some of the best products around, and can give you an attractive, efficient and rewarding shower experience whenever you use it.